Please have students check in 10 minutes before their assigned time. Schedules will be sent and posted the week of January 21. Please have student names submitted to us via email no later than Friday, January 18. Register here. 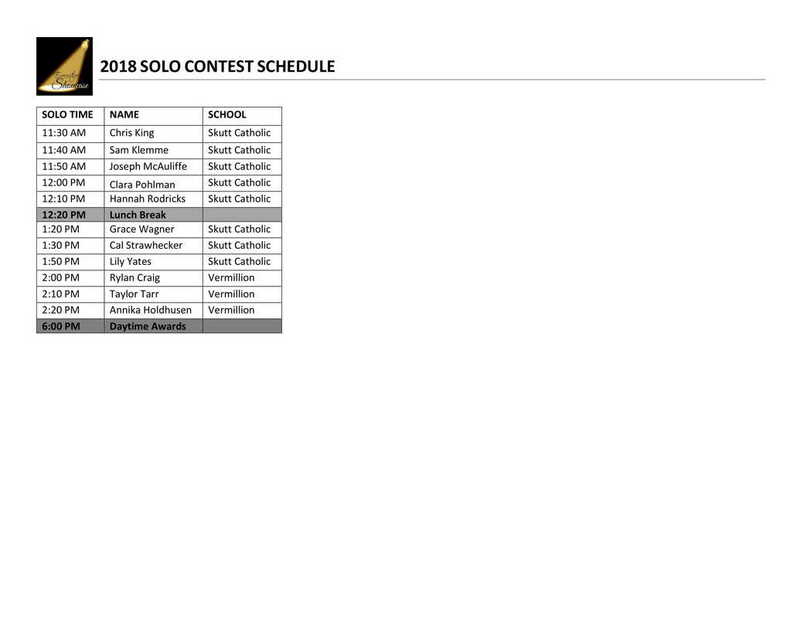 There is no style limitation to solos. Broadway and Pop solo selections are allowable. The judge does not need a copy of the original music. Performance time slots will be five minutes in length. A piano will be provided, but no accompanist. A speaker with a microphone and aux cord is also provided for background accompaniments on a phone or mp3 device. Each solo entry is $20. Please make checks payable to RHS Chorus and make available before or upon arrival, or student will not be allowed to compete.